“Yes, parenting is a long, winding journey…of love, mistakes, repairs, and growth. As you move through these stages, you see so clearly that those early years of responsive, loving care are the foundation you’ll fall back on over and over when times are hard. 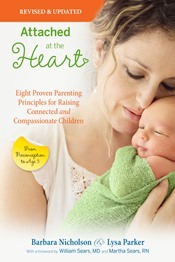 And watch for an upcoming Attached at the Heart Parenting Program workshop near you.